Original recording by Jimmie Rodgers with Bob Sawyer's Jazz Band (Bob Sawyer, piano; Mickey Bloom, cornet; Boyd Senter, clarinet; unknown banjo, tuba, guitar), Hollywood Recording Studios, Los Angeles, CA, Jun 30, 1930 (Victor 23549). Recorded by Bob Dylan at Ardent Studios, Memphis, TN, May 9-11, 1994, included on "Jimmie Rodgers -- A Tribute" (Egyptian Records, 1997; produced and with liner notes by Bob Dylan). An alternate take was recorded with Emmylou Harris, vocals. A fragment was released on the "Highway 61 Interactive" CD-ROM. 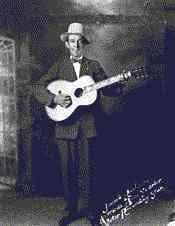 On 30 June Jimmie recorded "My Blue-Eyed Jane," written by Elsie McWilliams' niece Lulu Belle White about her sister Ruth. The accompaniment for this song was provided by cornet, clarinet, tuba, piano, banjo and guitar, played by Bob Sawyer and his band. The overall sound is swinging and heavily jazz-influenced. Mike Paris & Chris Comber, Jimmie the Kid: The Life of Jimmie Rodgers, New York, 1977, pp. 97-98. While the moon was shining down. That this could happen here." I've come to say farewell. But now I cannot linger here. Oh please, come go with me.